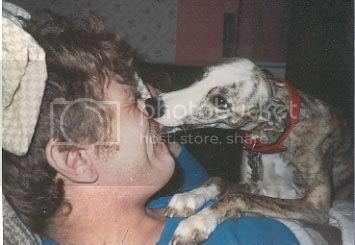 She was our first Whippet, we rescued her in the 80s and she was with us for 14yrs. Rosie was only 5 yrs old when we lost her on 11-4-03 we loved her very much and will miss her forever. 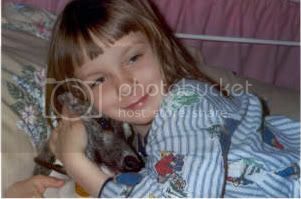 She was our cuddly Whippet.